Atmiya International is counted amongst the renowned Fresh Drumstick Exporters in market. The Drumstick, we offer, is a fresh vegetable that is a rich source of nutrients like Vitamin C, Vitamin A, Potassium and Calcium. 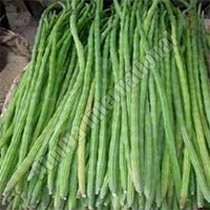 This is widely used in the preparation of Sambhar (a popular south Indian cuisine) & several other dishes in the Fresh Drumstick Suppliers southern region. Drumsticks are also considered beneficial to prevent joint pains. Being reliable, you can be sure that the Fresh Drumstick stock we provide is juicy and nutritious. The Fresh Drumstick Vegetable stock offered by us is packed in high quality packaging materials to ensure that it remains fresh and tender till it reaches the buyer.